Fortunately, there are many things you can do to avoid these problems. WordPress as a platform offers plenty of options for optimizing your site to make it faster and more reliable. In fact, even if you’re not an expert in website optimization, you can use several methods to improve your site’s loading times quickly. 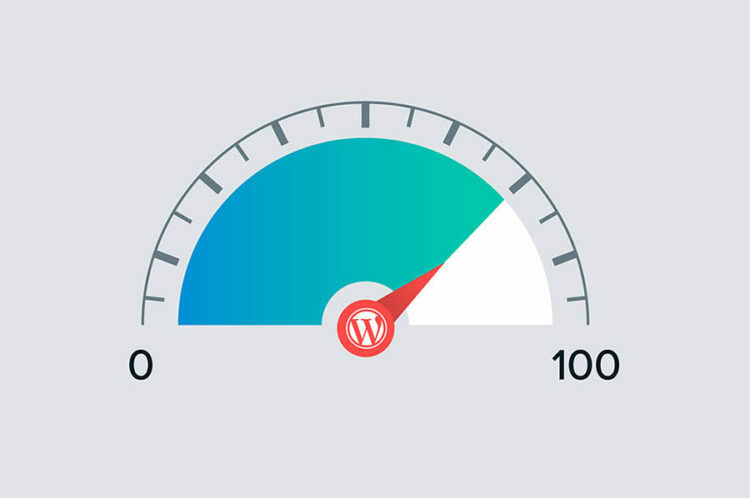 In this guide, we’ll explain what you can do to optimize your WordPress website and improve its speed. We’ll also look at how you can diagnose problems that slow down your site and, more crucially, how to fix them. There’s a lot to cover, so let’s get started! Things have changed a lot since the beginning of the internet. Today’s users expect significantly faster loading times, and your site needs to live up to those expectations. In fact, making sure your site is fast and performs well is the first of Google’s four Web Fundamentals, and it’s easy to see why. The biggest issue with having a slow website is that your users will often lose patience and leave. This negatively affects your ‘bounce rate’, which reflects the number of visitors who click away after only seeing one page. Forty-seven percent of users expect sites to load in two seconds or less, and 40 percent will leave a site if it hasn’t loaded within three seconds. In addition, a delay of just one second can lead to a 7 percent reduction in conversions. Those numbers might be startling, but they help to demonstrate the importance of maintaining a fast, reliable site. If lost traffic and conversions aren’t convincing enough, you should also consider your site’s Search Engine Optimization (SEO). Speed is a factor Google cares about, so slow pages can lead to a reduction in your search rankings. Finally, you’ll also want to be aware of the effects of your site’s speed across platforms. Since 2016, more people have been using mobile devices to browse the internet than desktop computers. By 2019, the number of mobile users is expected to reach 5 billion. That’s almost two-thirds of all humans on the planet. This matters because most mobile users are looking for a similar experience to what they would get on a traditional computer. Almost half expect sites to load in less than 10 seconds. This is one reason why the average mobile load time for companies in the Fortune 500 is two seconds faster than the overall average page speed. You can follow suit, and ensure that your site is fast enough to keep the user’s experience welcoming. However, you’ll first need to understand why your pages might not be performing as well as you’d like. You should now be fully aware of the negative consequences long load times can have on your site. However, it’s equally important that you know what causes a site to slow down in the first place. We’ll be looking in more depth at some of the causes later on. Right now, let’s quickly run through a few of the most common culprits. The most likely reason for slow loading times and a lack of performance is simply a poorly built website. However, the hosting provider and plan you choose are also important factors so you need to make sure that you select a quality web host for your site. If your server is slow or experiences frequent downtimes, so will your site. We’ll discuss how hosts and plans affect your site in more detail soon, but it’s worth repeating that picking a quality host is a necessity. We also recommend that you consider managed hosting, which ensures that your site is fast, responsive, and reliable. Another reason your site can experience slowdowns is if it’s getting too much traffic. A high number of visitors is one of the most common reasons for slow loading times. If your server or hosting plan isn’t ready to deal with all those users, its performance will often suffer. The same thing can happen if you have multiple users logged in to your site’s backend simultaneously, as that also uses up server resources. This issue can even be caused deliberately by malicious users or bots, through a tactic known as a Denial-Of-Service (DoS) attack. Finally, bulky and inefficient code can also be the reason behind a slow site. This issue results in pages that take longer to load and run and drains additional resources in the process. Now that you understand some of the causes behind slow loading speeds, it’s time to examine your own site and see how well it’s currently performing. The best way to find out if your site is suffering from slowdowns is to test it thoroughly and regularly. Fortunately, there are free tools you can use to quickly gather this information. Next, we’re going to introduce two free tools you can use to test your site’s speed. We recommend that you repeat these tests multiple times, to get a more accurate result. It’s also smart to run these tests regularly. New factors can affect your site and slow it down unexpectedly, so you’ll always need to keep up-to-date with its performance. 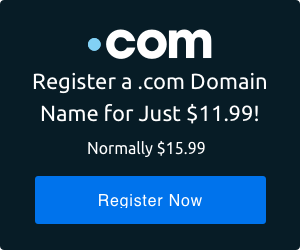 The first option we’ll be looking at is Pingdom Tools. This site accesses your pages from a specific location and returns information about how quickly they loaded. This process enables you to test your site’s loading speed. Plus, Pingdom Tools rates your site based on several metrics. For instance, it shows how many requests were required, how many redirects were performed, and how your site’s speed compares to others. To perform a test, simply enter your site’s URL into the field on the main page, select the location you want to use, and click on Start Test. You may be placed in a queue, depending on how many people are currently using the site, but in our experience, it usually takes less than a minute for the test to begin. When the test is complete, the page will reload, and you’ll be able to view your results. Since the results will differ slightly each time, you’ll want to do this a few times to get an average figure. This will give you a more comprehensive overview of how well your site performs, and provide some insight into what areas of your site need to be improved. Pingdom Tools is an excellent resource, but we also recommend that you give GTMetrix a try. This is another free speed-checking tool that can be incredibly useful. GTMetrix works much the same way as the previous tool, but it also provides more in-depth metrics and even offers optimization suggestions based on your results. You can start a test by entering your site’s URL on the home page and selecting Analyze. Since this test is a little more thorough, it can take slightly more time to complete. 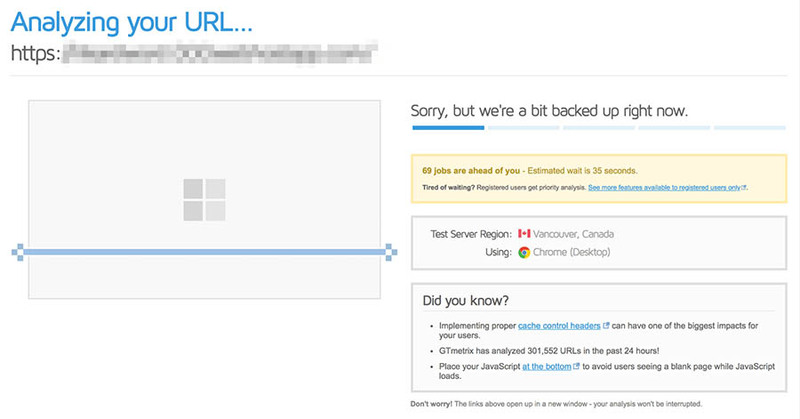 While it’s being performed, you can see how many sites are ahead of you in the queue. When the test has concluded, you’ll get access to a lot of data. You’ll see how quickly your site loads, as well as other data, including the overall size. Scroll down the page and you’ll find tabs with even more detailed test results, such as resource usage. However, you’ll need to register for an account in order to access all of this information. Remember to run this test a few times as well to get a reliable average result. Once you’ve done that, you’ll have a solid idea of how well your site is currently performing. You can then interpret the results to find areas where your site could be improved. 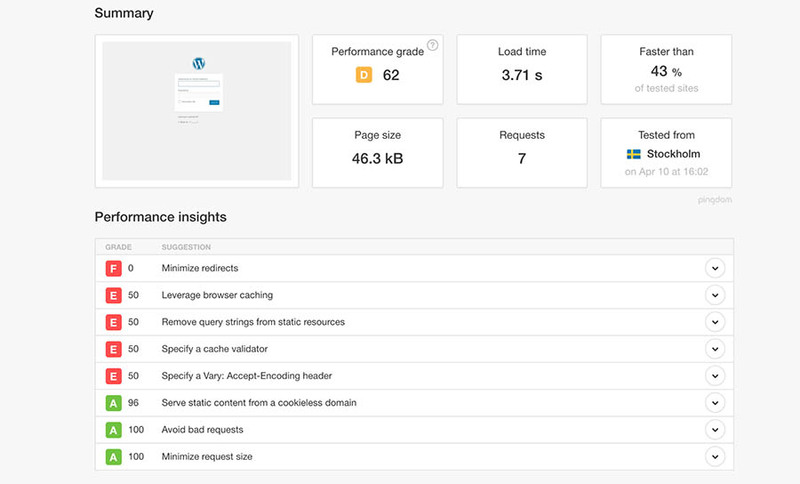 Armed with that information, it’s finally time to see how you can make your site faster. By now, you should understand why having a speedy website is important, and have some idea of what can go wrong. What’s more, you’re aware of how well your site is currently performing. This is a great start. At this point, it’s time to take the first steps towards optimizing your website and improving its speed. Below, we’ll present 10 methods you can use to make sure your site loads faster and performs smoothly. The more of these techniques you employ, the better your results are likely to be. Picking the right hosting plan is one of the first and most important choices you’ll make for your website. Since your web host is where your site ‘lives’, it will do a lot to determine your site’s speed, performance, and how well it can cope with high traffic. When a user accesses your site, your host’s server will determine how quickly information is passed to them. Some servers are simply slow. Alternately, your plan might cap your maximum speed or allowed server resources. In short, your site can never be faster than the server permits. The reason this method is listed first is that a poor-quality hosting plan can effectively nullify all your other speed-enhancement efforts. Even if you optimize your site for speed, it won’t make much difference if your server is slow or your plan is inadequate. For this reason, it’s important that you pick a hosting provider and plan that suit your requirements. For an example, you can take a look at DreamPress — our own managed WordPress hosting plan. This plan provides faster SSD-based storage and other built-in speed optimization solutions such as caching plugins. Using managed hosting also makes it much easier to expand and scale your site over time. What’s more, DreamPress includes many additional features that are beneficial to your website, such as a built-in firewall and a free SSL certificate. There’s a reason why it’s officially recommended by WordPress, after all. If you want more information about how we can help you speed up your site, feel free to contact us with any questions. These days, most people are constantly inundated with update notices from all their devices and software. We understand that it’s easy to become numb to these messages, especially when the effects of ‘required updates’ are so often invisible to the average user. However, when it comes to WordPress, you should always make sure to update every aspect of your site as soon as possible. 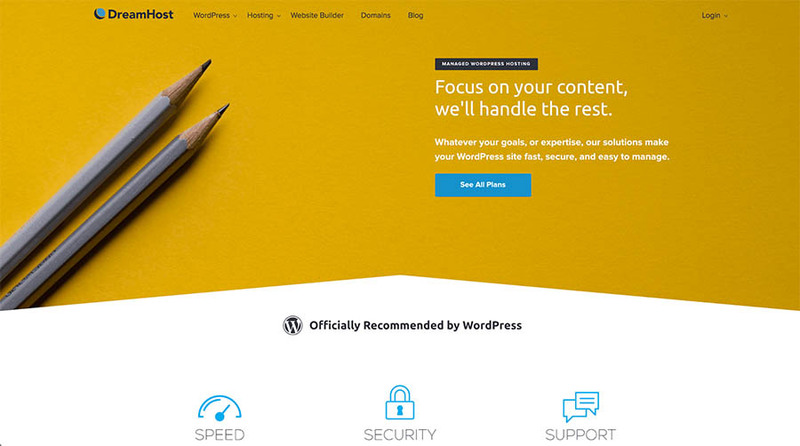 It’s essential not to ignore updates when they become available, whether they’re core updates for your WordPress installation or new versions of your WordPress theme or plugins. The most important reason for this is security, as new updates will ensure that your site is safe against the latest threats. However, keeping your site up to date will also ensure that it remains as fast as possible. WordPress developers are always improving the core software to be faster and better optimized. By updating, you’re ensuring that every aspect of WordPress is running at peak performance. For instance, each core update features improvements to how your site handles code and delivers content. The same is true when it comes to updating WordPress plugins and your active theme. This ensures that they are compatible with your version of WordPress, and are working as efficiently as possible. You should also make sure your site uses the latest version of PHP. This will speed up your site considerably, and also ensure full compatibility with WordPress. If you have a managed hosting plan with DreamHost, you have access to PHP’s most recent version. Plus, your site will be automatically updated whenever a new version of WordPress is ready. Another smart way to speed up your site is to implement ‘caching’. The easiest way to understand caching is to think of it as a site’s short-term memory. When a site is accessed for the first time, a copy of all requested files are saved. These ‘cached’ files are then displayed the next time the same site is visited. This ensures that your site’s files don’t have to be requested and loaded directly from the server every time somebody visits it. Caching significantly cuts down on the resources required to run your site, which can speed it up considerably. Caching may sound pretty technical, but it’s actually easy to implement on a WordPress site. There are several plugins you can use to do this. WP Super Cache is by far the most popular caching plugin, as it’s both entirely free and very simple to configure. However, there is one issue you’ll need to consider before caching your site. Since caching displays a saved version of your site to visitors, there is a risk that it could end up showing outdated information. If your site contains dynamic elements, such as a Twitter feed or a shopping cart, these can also be affected by caching. Most plugins will automatically clear (or ‘purge’) the cache occasionally. However, you may need to do so manually from time to time. If your server has Varnish Caching installed, you can accomplish this task easily with the free Varnish HTTP Purge plugin. If you want a pre-configured caching solution for your WordPress site, consider using DreamPress. All DreamPress sites include the caching tools you’ll need to keep things running fast. One of the biggest drains on your site’s resources is its images. They’re great for making your site look amazing and for supplementing your text content, but they also require both server space and bandwidth. This is especially true if your site contains high-quality images, such as in a portfolio or online store. If that description fits your website, image optimization is an indispensable tool. Large file sizes have a negative effect on loading times and bandwidth usage, which harms the overall user experience. It may not even be obvious which images are the worst offenders, as file size doesn’t always correlate to physical image size. Image optimization is a process that compresses the size of an image file without noticeably affecting its quality. This is easy to implement, and you can even automate the process entirely. The first method you can use is to optimize your images before you even upload them to your site. 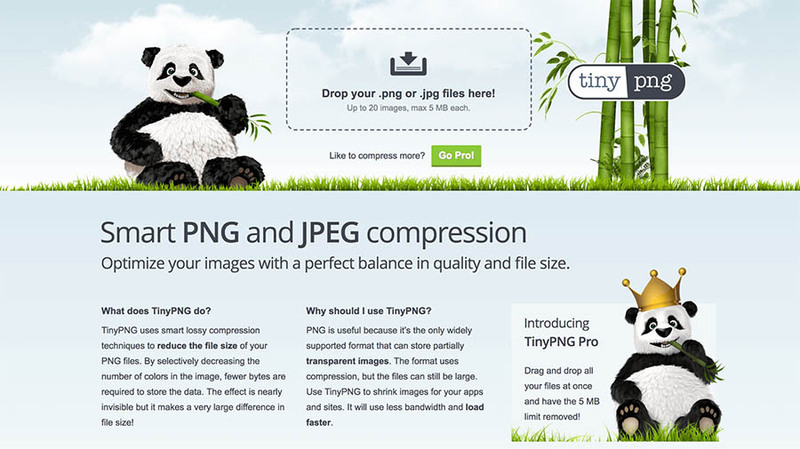 We recommend TinyPNG, as it’s free and very easy to use. 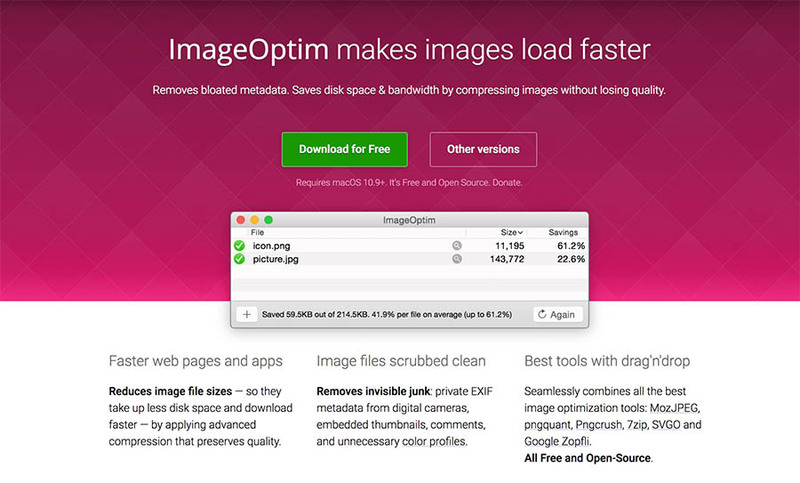 If you’d prefer to download a tool for optimizing images offline, we recommend that you get ImageOptim. This is another user-friendly, capable solution. However, there are also numerous plugins that enable you to optimize images automatically when you upload them to your WordPress site. Our favorite of these is ShortPixel. Not only will ShortPixel optimize images for you, it can also be used to compress all your existing images using its powerful bulk optimization tool. This feature will save you plenty of bandwidth and disk space in the long run. Minification may sound like a pulpy science fiction term for describing a shrink ray, but it’s actually a process for making your site’s code more efficient. In short, it strips away at all unnecessary content in your code, in order to make it run faster. This code is functionally identical to the previous example, but a computer will read and process it much faster because there are fewer characters involved. It may not look like a big change. However, imagine how much code your entire site contains, and you’ll see how removing all these unnecessary flourishes can help to optimize it. If you’re not experienced working directly with code, then don’t worry. Minification can be done easily without needing to interact with the code. For example, you can use an online tool to minify code right in your browser. We recommend using CSS Compressor or Minify, as they both feature user-friendly interfaces and produces results quickly. However, for a WordPress site, the best option is usually a plugin. You have plenty of options at your disposal, but one of our favorites is Fast Velocity Minify. This is a free, open-source, and very user-friendly tool. While communication is becoming more and more digitized, physical distance is still a factor when it comes to sending information online. Using a Content Delivery Network (CDN) can help you create a consistent and faster experience for visitors, regardless of their geographic location. A CDN refers to a network of proxy servers that are spread across the world. Each server contains a copy of your website, which can be used to deliver your content more quickly to users all over the globe. Not only will this improve your site’s speed, but it will also increase its security. In addition, using a series of proxy servers can make your site more crash-resistant, since the burden of file transfers is shared across multiple servers. This will in turn help prevent the site from going down due to high traffic, and will also help protect against basic DoS attacks. The easiest way to use a CDN with WordPress is to install a plugin. We recommend Cloudflare, which protects and accelerates your site with minimal configuration required. As well as improving your site’s speed and security, Cloudflare also provides extensive analytics detailing your site’s performance. If you’re a DreamHost user, you can enable the basic Cloudflare plan directly from the DreamHost panel, and run it on your site. We’ve already discussed the importance of keeping your themes and plugins updated. However, it’s equally important to make sure you use the right tools to begin with. There’s a common misconception that having a lot of plugins installed can slow down your site. The truth? It’s not necessarily the number of plugins that matters, but their quality. In addition, plugins focused on security, SEO, and e-commerce tend to require more resources, as they add more code and functionality to your site. For this reason, it’s important to research the plugins you’re using, and make sure they don’t drain more resources than they need. Even WordPress themes can affect your site’s speed. Many themes may sell themselves as ‘optimized’ or ‘fast loading’, without being either. Some themes include unneeded functionality or require more files than usual to function, which can also cause your site’s performance to suffer. Choosing well-coded themes and high-quality plugins comes down to careful research. Make sure to check out user reviews and ratings, look at the developer’s update history, and make sure that each tool is tested to work with your version of WordPress. Adhering to these simple criteria will help ensure that you don’t install anything on your site that might slow it down. By now, you know how to pick the fastest themes and plugins and keep them updated at all times. The next step is to ensure that you get rid of any themes and plugins you no longer need. This a site maintenance task you should perform regularly. Even if a theme or plugin isn’t active on your site, it will still take up space on your server and cause unnecessary strain. Plus, keeping unnecessary content around can get confusing for administrators. Fortunately, cleaning out your themes and plugins shouldn’t take too long. The first step is to delete all deactivated plugins and themes you no longer need. Bear in mind that certain plugins will save additional data that won’t be removed, even if you delete the plugin itself. You may need to remove these extra files or shortcodes manually. You should also make sure to create a backup of your site before removing any plugins or themes, just in case. This will ensure that you can return to the backed-up version if anything goes wrong during the cleaning process. It’s not just plugins and themes that can build up over time and clog up your site. As your site grows, your media library will fill up with images, documents, and other files. It’s not unusual for long-running sites to contain hundreds if not thousands of image files, for example. Even if you use image optimization, this many files can start to strain your server resources. A fair amount of these files might not even be used anymore. Identifying and deleting unused media files can be an incredible pain if done manually, however. Fortunately, there are plugins that can help you out. In this case, we recommend that you use the Media Cleaner plugin. This plugin will automatically find and delete any unused media files in your library. It will search for files that don’t appear on any pages or posts and place them in a trash bin. This enables you to sort through them and save files you want to keep even if they’re not used on the site. 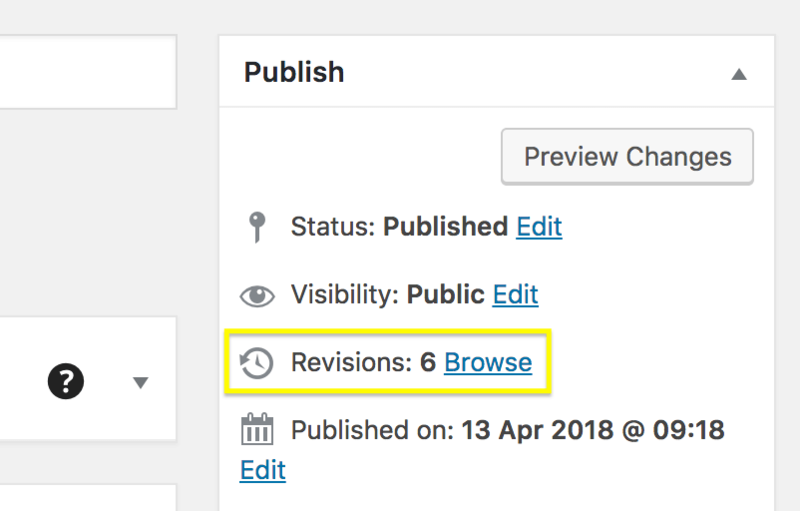 Another potential resource-waster is post revisions. These enable you to see earlier versions of posts, which can be helpful while you’re creating content. However, since these are essentially copies of your existing posts, they can also take up a considerable amount of unnecessary space. You should, therefore, make sure to regularly clean up your revision archive. One plugin that enables you to do this is WP-Optimize, which also cleans up your comments table in the process. There’s one more area where you can clear out some clutter – your databases. Optimizing your site’s databases means reorganizing them to reduce space and increase their efficiency. If you’ve made it this far, you can probably guess that this is possible without any actual knowledge about databases. There’s a plugin for almost anything, after all, and this task is no exception. Even if you’re a complete newbie, you can use the WP-DBManager plugin to manage your databases. This plugin will optimize, repair, and delete unused databases for you. You should also remember to clean up your databases. You could do this manually, but this is risky, and you shouldn’t try it unless you know exactly what you’re doing. Instead, we again recommend that you install WP-Optimize, which can also be used to clean up databases. This tool will clear out unused data and optimize your MySQL databases, with minimal effort on your part. If you do wish to get more hands-on with your database optimization, you can do so with WP-CLI, or by using SSH and phpMyAdmin. However, as we already mentioned, we recommend that you only do this if you’re already experienced. You should also make sure to create a backup first, to save yourself the trouble if anything goes wrong. We can’t overstate the importance of keeping your website in tip-top shape. A slow site can lead to a significant drop in the number of visitors who stick around, which will negatively affect your bottom line. However, this doesn’t have to be your website’s fate since WordPress offers plenty of ways to improve your site speed. Throughout this guide, we’ve looked at some of the best methods for optimizing the speed of your WordPress blog or website. If you implement these methods, your site will perform better, which can make your users happier and increase your conversions.